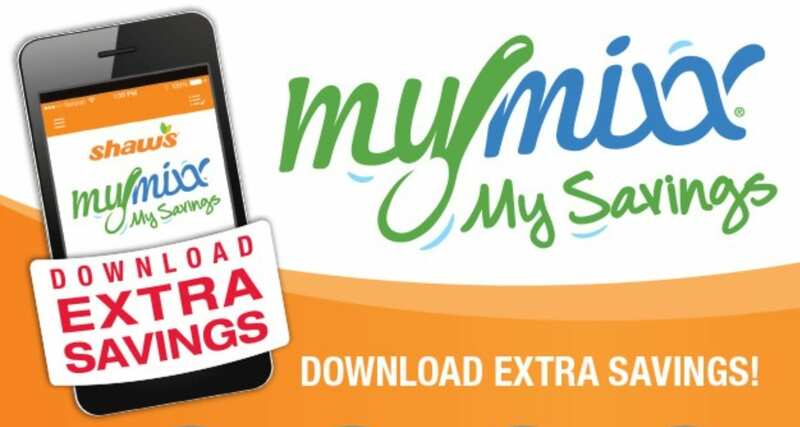 If you are looking for another way to save at the grocery store, Shaw’s rolled out a new rewards program recently called MyMixx. It is a paperless way to clip coupons from your phone and save more at the grocery store. There is a smartphone app; however, you can register online if you don’t have a smartphone or you’d rather avoid another app. I registered and clipped coupons through the smartphone app but you can sign up online with your phone number too. So far there have been some really great coupons available through MyMixx and you just need to hit “clip” coupon to add the offer. Once you are at the store, pick up the offer you are interested in and head to check out. On the kiosk (where you slide your credit card) there should be a spot to enter your phone number, and then MyMixx will adjust any coupons you clipped and you should see your price drop at the register. You can also ask the cashier to enter your phone number in for you and you should see the same results. I found MyMixx really easy to use and I really like the offers they’ve had so far, and I’m hoping there will be great and enticing offers in the future. I also like how you can tie your SavingStar card to your MyMixx account for even more offers. If you are not familiar, SavingStar is also a printless coupon service and you just clip coupons to your account. 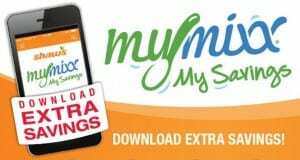 It is very similar to MyMixx but the main difference is you will receive the savings in your account a few days later whereas MyMixx will take the coupons off right at the register. To activate SavingStar at Shaw’s, you just need to set up or log in to your account, and then enter your phone number under the Shaw’s store tab in your account. It was really easy to add SavingStar to my MyMixx account. I usually just clip SavingStar coupons every few weeks or so and often forget about them, so I love that SavingStar and MyMixx are under the same account now so it’s one less thing to do. Have you checked out MyMixx yet? Have you switched your SavingStar account to MyMixx yet? Do you find this new rewards program really confusing or really easy?